Posted By Rob, 14th Sep 2016. 3 Minute Read. ● So what exactly is art deco? ● How do I get the look? Deciding on a fresh new look for your bathroom always throws up dilemmas when it comes to choosing a particular style. There are lots of things to consider, and top of the list is usually whether you should go for an ultra-modern look or take more of a vintage approach. But what if you want something down the middle? What if you fancy something that manages to be both sophisticated and bold? Purposeful yet unmistakably minimalist? Well, as luck would have it there’s a perfect style out there which guarantees you all of these things – ladies and gentlemen, allow me to introduce you to the glamorous world of art deco bathrooms. So what exactly is art deco? Rising to popularity throughout the 1920s and 1930s (although the general style actually originated slightly before this time), art deco designs can usually be quickly identified as having one or more of the following qualities: geometric or cubist shapes, bold or pastel colours, motifs and elaborate patterns. Of course this is a very brief insight into what this style is about but there’s no denying it’s had a massive effect on popular culture, influencing everything from architecture to movies; car design to jewellery. You might not have realised just how many famous buildings for example, are actually prime examples of art deco design. 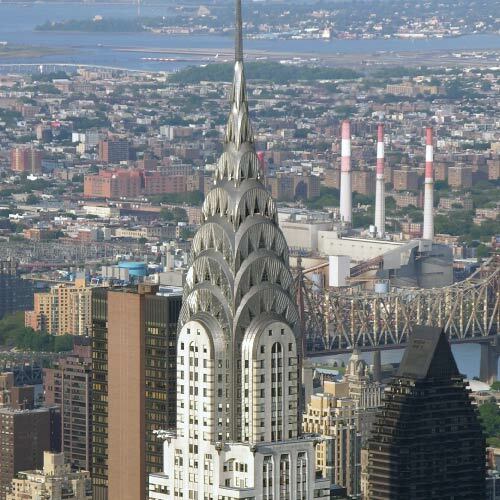 The Chrysler building in New York is probably the most well-known example, as are those beautiful pastel coloured hotels that stand majestically along Miami’s South Beach. 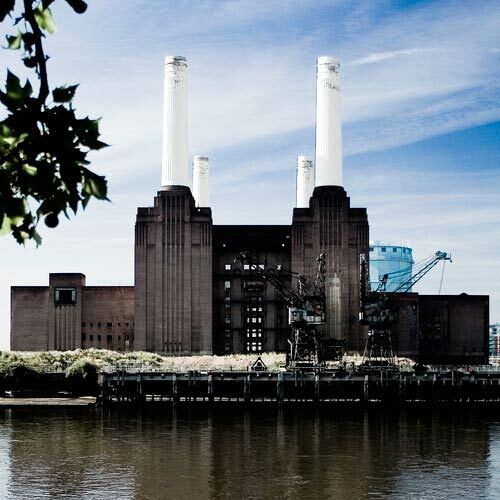 But did you know that the iconic Battersea power station is another art deco masterpiece? How about Liverpool’s philharmonic hall? The influences are literally everywhere! Perhaps the best thing about art deco is its versatility. This is a style that somehow manages to fuse together elements of the nostalgic and the futuristic without looking mismatched, which means it’ll suit just about any home. As always the best place to start is with the bigger jobs. The first choice you need to make here is whether you want to go for tiling or wallpaper. Now, I know this might initially seem like a strange choice to have to make for this part of the house but bathroom wallpaper has recently seen a rise in popularity and there are loads of cool geometric and patterned designs out there that are just perfect for getting that art deco vibe. Pay attention to the colours you’re using too as there are a couple of ways you can play it here; either going down the bold, striking route (in which case we’d recommend using black and gold for wallpaper and monochrome for tiling), or the understated look (which involves the use of light pastel shades such as blue or yellow). Also consider border tiles to break up the look of the room. If you want a combination of pastels and tiles why not paint the top half of the wall, tile the bottom then use a deco pattern border tile to tie the look together neatly. Turning your attention to the suite, there are plenty of matching toilet and basin sets to choose from that’ll give you the look you’re after, with more elaborate examples such as the Empire high level toilet from Silverdale (pictured above) an option to take into consideration. Adding a traditional shower into the mix will also continue the look. For a truly sensational centrepiece however, if you have the room to spare then you should consider a freestanding bathtub. 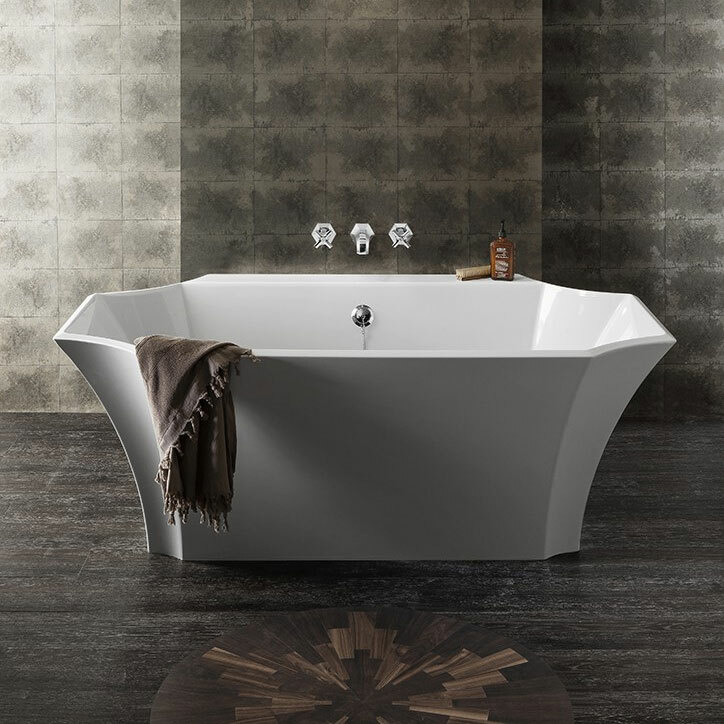 The ultimate choice would have to be something like the beautiful Bauhaus Waldorf double ended bath (pictured above); a design which perfectly mimics the glamour of the era. 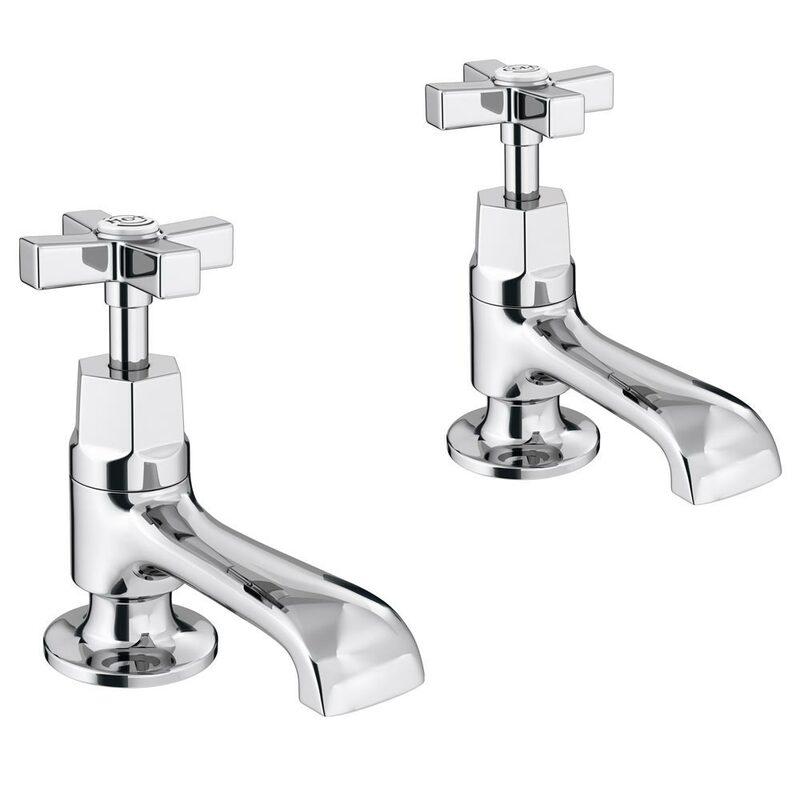 With your suite selected it’s time to think about taps. Luckily there’s an abundance of art deco inspired fixtures to choose from, such as the matching Olympia bath shower mixer (pictured above) and basin taps (also pictured above), which will create a coordinated feel throughout the room. As I've mentioned previously in these articles, accessories are an important way to truly complete the look, and this is especially true when it comes to art deco. An easy way to complement your surroundings is with a decorative fixture such as the Waldorf mirror from Bauhaus (pictured below). 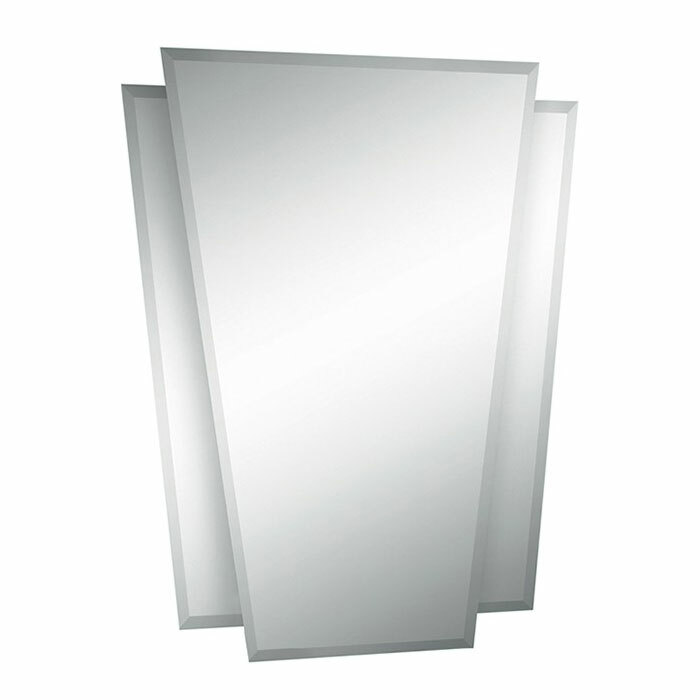 This sleek design features an instantly recognisable, period-correct finish that will give your bathroom a stylish focal point. Smaller touches will really finish things off while allowing you to add some personality to the room. Why not try placing some vintage art deco posters around the room? Or perhaps framed pictures of famous buildings that feature this particular style? The choice is yours – it’s time to get creative! 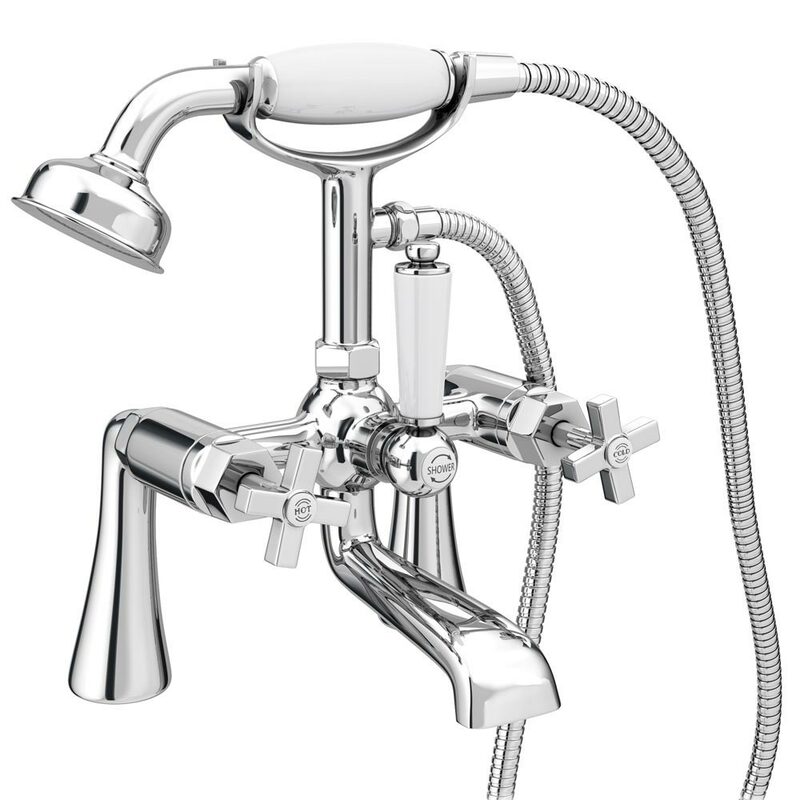 Have you enjoyed reading Victorian Plumbing's guide to getting the art deco bathroom look? For more ideas and examples regarding this style, take a look at our inspirational art deco Pinterest board for some brilliant examples.